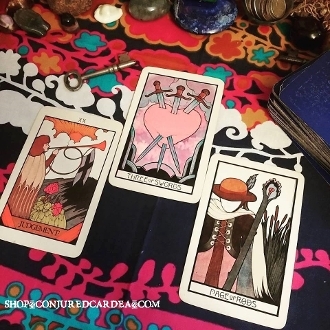 This listing is for a ONE question, EMERGENCY reading using a three card reading. Your reading will made a priority and will be completed within 24 hours. **This service is not available on major holidays. *******************IF YOU NEED TO SEND INFORMATION OR HAVE INQUIRIES ABOUT YOUR READING, PLEASE EMAIL DIANA AT THEARTOFCASTING@GMAIL.COM. INQUIRIES SENT ELSEWHERE WILL NOT BE RESPONDED TO AS DIANA HANDLES ALL READINGS. Please leave a note in "special instruction" with all details such as full name, DOB and a description of your situation of which you seek guidance for. If no question is asked, a general reading will be provided. All readings are done via email. You will recieve a report and photo. Copyright © 2014-2019 Professional Spiritual Services and Supplies. All rights reserved.